After taking a bullet for his commander-in-chief, Secret Service agent Joseph Reeder is a hero. But his outspoken criticism of the president he saved who had stacked the Supreme Court with hard-right justices to overturn Roe v. Wade, amp up the Patriot Act, and shred the First Amendment put Reeder at odds with the Service's apolitical nature, making him an outcast. Is a mastermind mounting an unprecedented judicial coup aimed at replacing ultra-conservative justices with a new liberal majority? 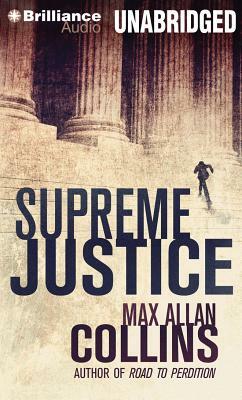 To crack the conspiracy and save the lives of not just the justices but also Reeder's own family, rising star Rogers and legendary investigator Reeder must push their skills and themselves to the limit.